It's been a long road for brewer Joseph Lemnah. 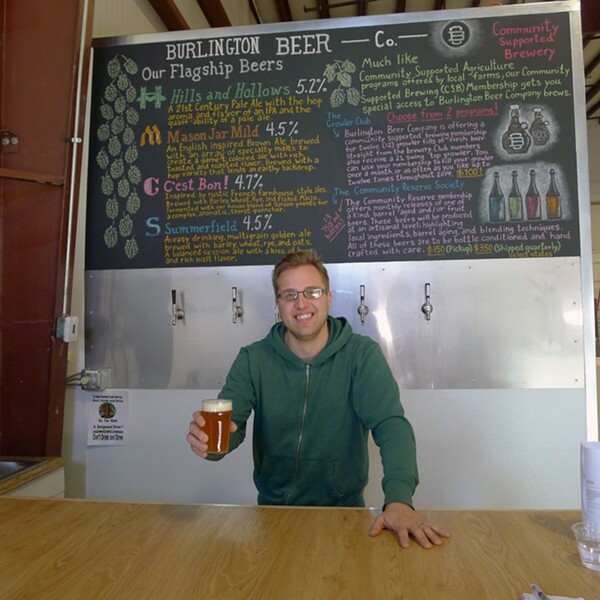 Two years ago he began sniffing out a location for the microbrewery he envisioned, Burlington Beer Company. In spring 2012, when Lemnah held his first tasting at Chef's Corner in the South End, he hoped to soon set up shop somewhere in that neighborhood — perhaps on Pine Street. Lemnah looked and looked, but didn't see anything that fit his needs. In the meantime, he and his wife, Beth, moved from Delaware — where Lemnah had worked at the venerable Dogfish Head Brewery, among others — back to his native Vermont. In a Jericho barn, Lemnah honed the locavore beers he hoped to eventually sell; beers that drew inspiration from what he found at the farmers market, or hanging from trees or growing in a field. He also built a model for a community-supported brewery — a sort of "beer CSA" that would offer members either 12 growler fills a year (for $100) or a series of special bottlings (for $150). 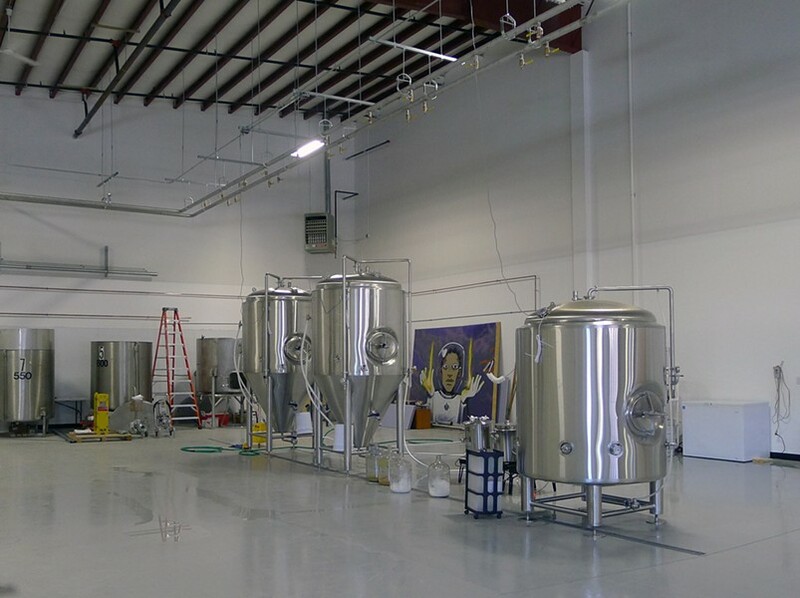 Licenses, permits and such can tie up any new small business, perhaps especially a microbrewery. Though Lemnah's main brewing system is still days (or perhaps weeks) from being online, he decided not to wait any longer to open. 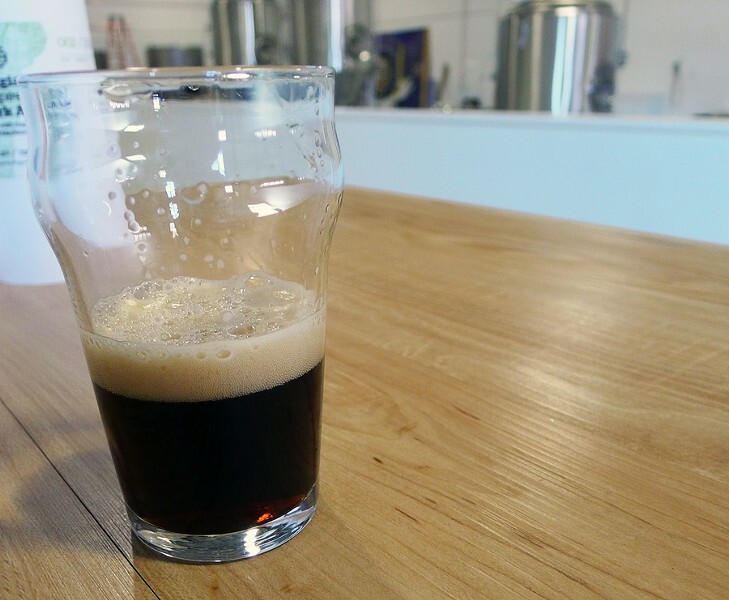 Instead, he brewed up some beer on a trusty 15-gallon pilot system, and last week opened his tasting room at 25 Omega Drive. After two years of emailing back and forth, I finally met Lemnah this week and was able to taste some of his beer. The 60 or so people who have already bought into his CSB will likely be pretty happy clams. Lemnah likes to joke than when he's asked, "What's your lightest beer?" he answers, "All of our beers weigh the same." In a way, that's true — all four Burlington Beer Co.'s flagship brews are sessionably 5.2 percent alcohol or less, and all have dialed-in flavors buoyed by vigorous hoppiness. Summerfield — a "multigrain golden ale" brewed with barley, wheat, rye and oats — smells fresh, lemony and light but has a vein of bitterness that makes it superbly quenching. Mason Jar Mild is a deeply toasty brown ale, but the malt is again held in check by bristling hoppiness. And Lemnah's current seasonals don't taste like whimsical toss-offs: His porter — brewed with sour cherries that he picked last summer — has no overt sweetness, just a sort of haunting low hum of tart juices. "I'd love to give fruit beers a better name," he says. To that end, he adds fruit earlier in the brewing process so most of the sugars convert to alcohol. Lemnah has all kinds of plans on deck: Saison fermented in red wine barrels; an abbey-inspired ale brewed with blueberries; a double IPA aged in rum barrels and which he calls a "tropical hop monster." When I dropped in, Lemnah was chatting with Andrew Peterson, who is very close to starting up his malt house in North Ferrisburgh. Naturally, Lemnah hopes to source some of that malt once Peterson is online. It seems a CSB goes both ways. Burlington Beer Company is at 25 Omega Drive, Suite 150, in WIlliston. Tasting hours are Thursday and Friday, late afternoon, and Saturday afternoon. For hours or more information about the community-supported brewery, call 802-863-BEER.